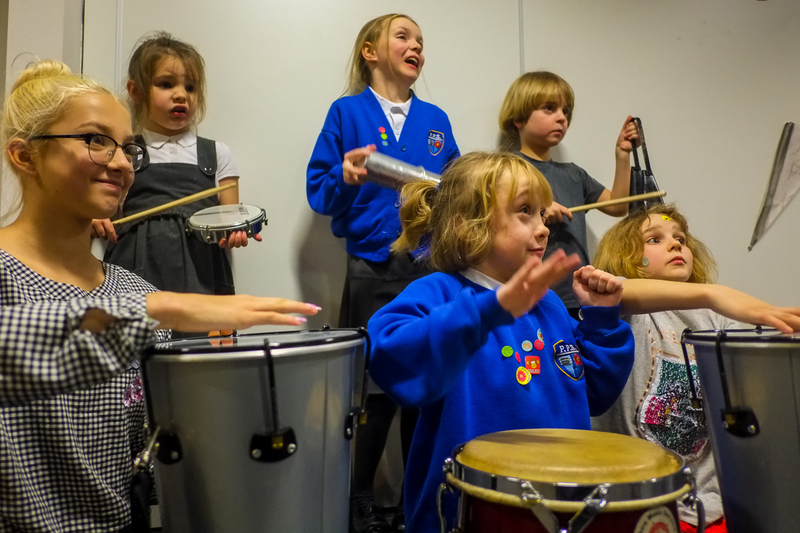 You may choose to bring your instrument along to join activities OR if you would like to experience music making with others your age but don’t have any experience, come and try the choir or one of our beginner groups; Recorder, Brass or Samba. 4:20-4:50pm A choice of; Recorder, Beginner Brass (including French Horn) or Beginner Violin. Pupils may then either join Ensemble For All, choir or guitar till 5:30pm. Tuition is available in brass, strings, woodwind, guitar, keyboard, piano, drum kit and music theory lessons.